The FDA Safety over Sequestration Act is bipartisan legislation that would exempt FDA user fees from sequestration. The bill amends the Budget Control Act. To sign onto the letter to support FDA SOS, contact Jenny Carey Carey@chi.org by Friday Dec. 6th. Recent update: At the Energy & Commerce Congressional Hearing on FDASIA, Dr. Janet Woodcock, FDA’s Director of the Center for Drug Evaluation & Research (CDER) explained how the rare diseases programs at the FDA have been hindered due to Sequestration. 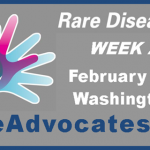 The EveryLife Foundation is encouraging all rare disease patient organizations to support FDA-SOS.